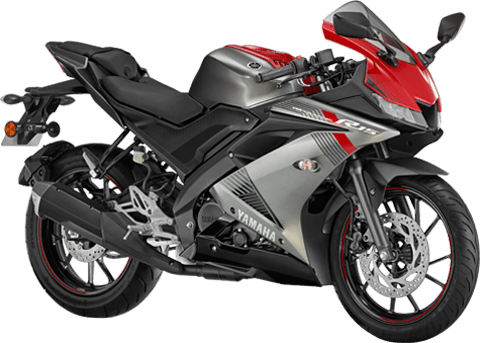 Yamaha R15 Version 3 MotoGP Edition Officially Teased, Launch Soon! 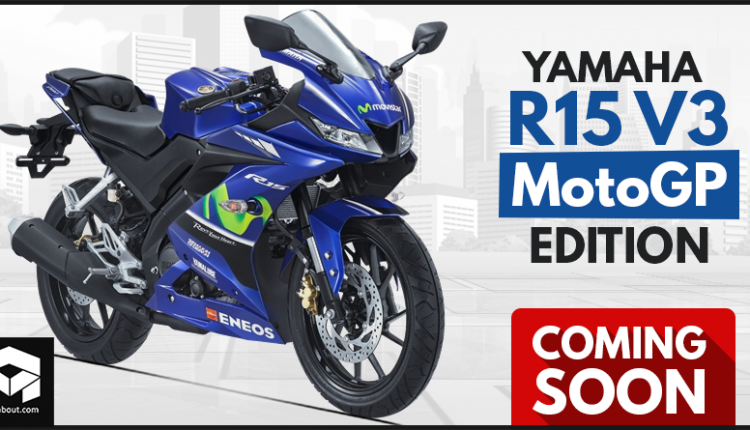 R15 Version 3 MotoGP Edition India Launch Soon: Yamaha Motor India has officially posted a teaser video of the upcoming limited edition model of the R15 Version 3 on their YouTube channel. The brand is planning to launch the MotoGP Version in India in a few days. 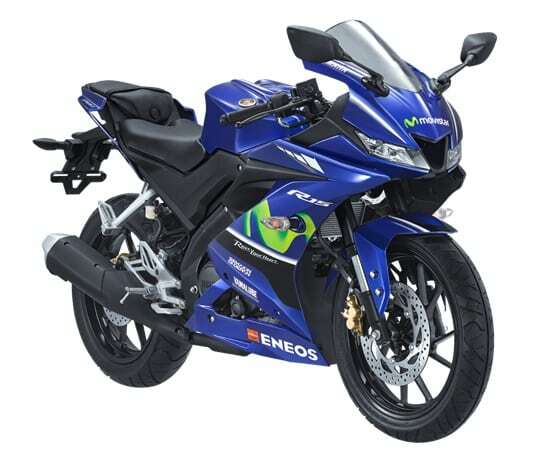 The MotoGP variant comes in Racing Blue color with ENEOS logo on the belly pan and Movistar logo on front and on the fairing on both sides. This version is already on-sale in Indonesia and in some other Southeast Asian countries. 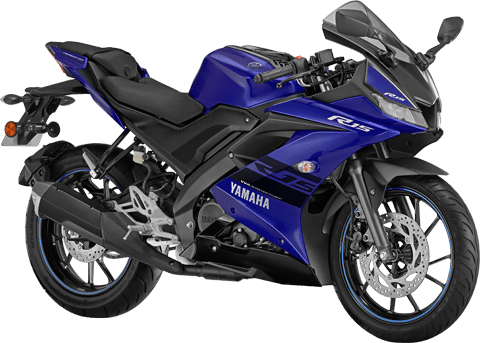 Outside India, R15 V3 comes with USD front forks but to keep the costs under check, Yamaha skipped the same for the Indian market. Apart from the cosmetic changes, the MotoGP variant will be exactly same in comparison to the standard model of R15 V3 in terms of technical specifications. 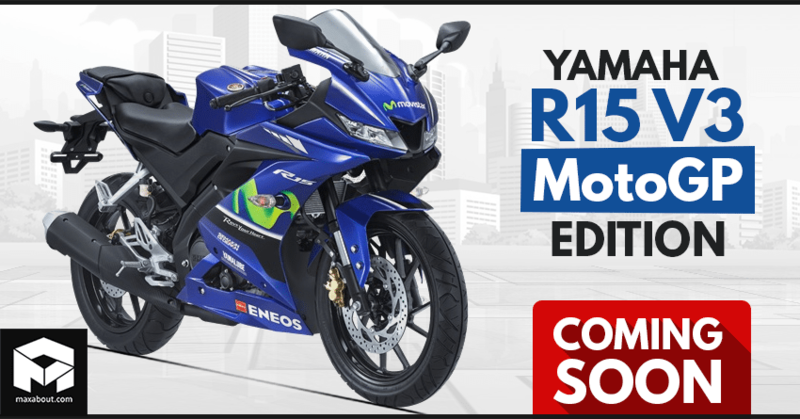 Yamaha R15 Version 3 MotoGP Edition is Coming to India in a Few Days! The bike is powered by a 155cc, single cylinder engine producing 19.04 BHP and 15 Nm of torque. The engine comes mated to a 6-speed, slipper clutch assisted gearbox. It comes with LED lights as stock and offer variable valve actuation for better power delivery at all rpm levels. At present, R15 V3 is available in India in 2 colors: Thunder Grey and Racing Blue. The ex-showroom price for the bike is INR 1.27 lakh, and the MotoGP edition is expected to get a price hike of around INR 2,000-3,000.